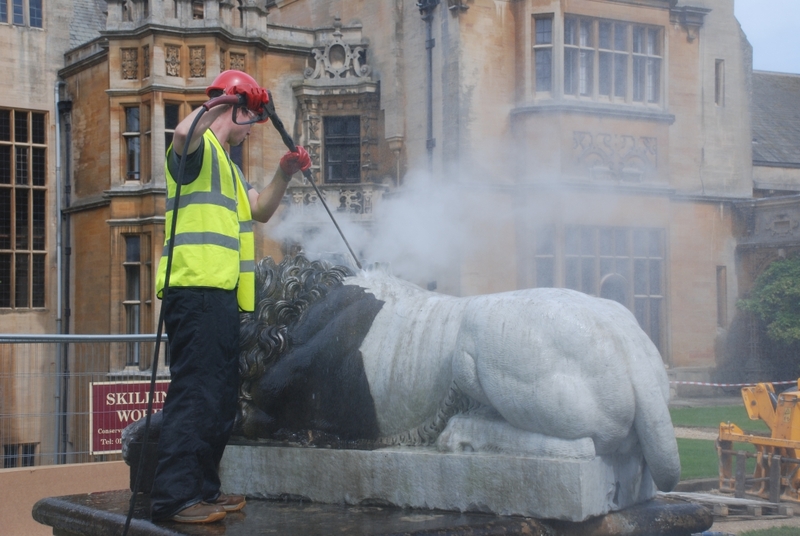 The Lion Terrace is a feature to the rear of Harlaxton Manor, near Grantham, Lincolnshire, laid out initially in the 1830s and 40s as part of Gregory Gregory’s scheme – then known as the ‘Baroque Terrace’. 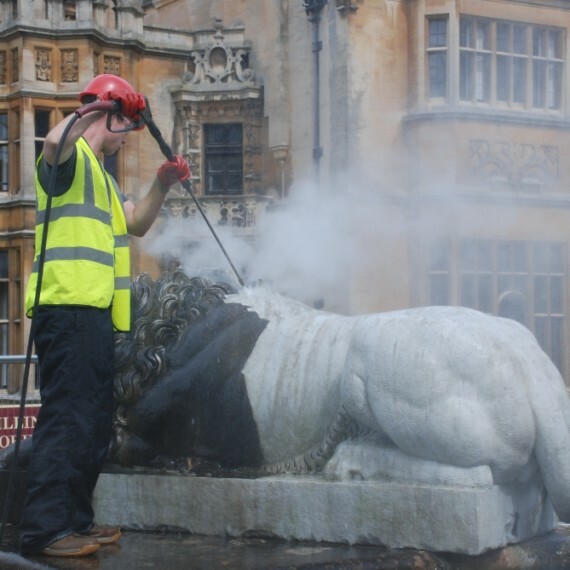 It was added to in the early 20th century, including the addition of the two large marble lions to the front, when it became known as the Lion Terrace. The Ancaster Hard White limestone had deteriorated over the years, much of the low parapet copings having been previously replaced in a gritstone. 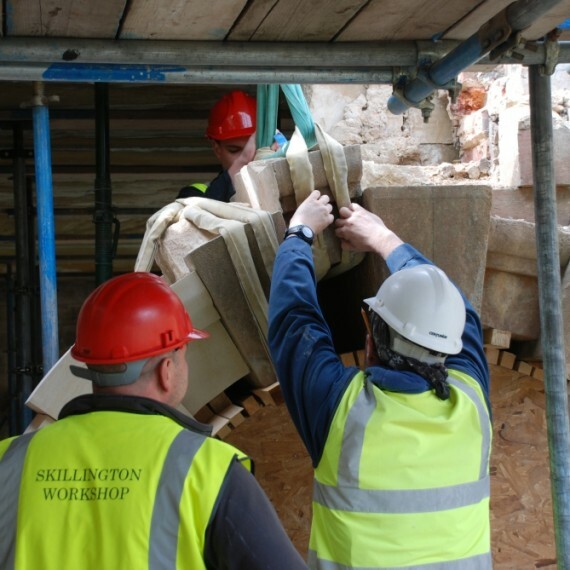 When the project attracted a generous offer of grant aid from English Heritage one of the conditions was that the gritstone was replaced with the much more appropriate Ancaster stone. This project went out to tender initially in 2009, when the contract was won by another contractor. They went into administration part way into the works leaving much of the Terrace dismantled with virtually no documentation! 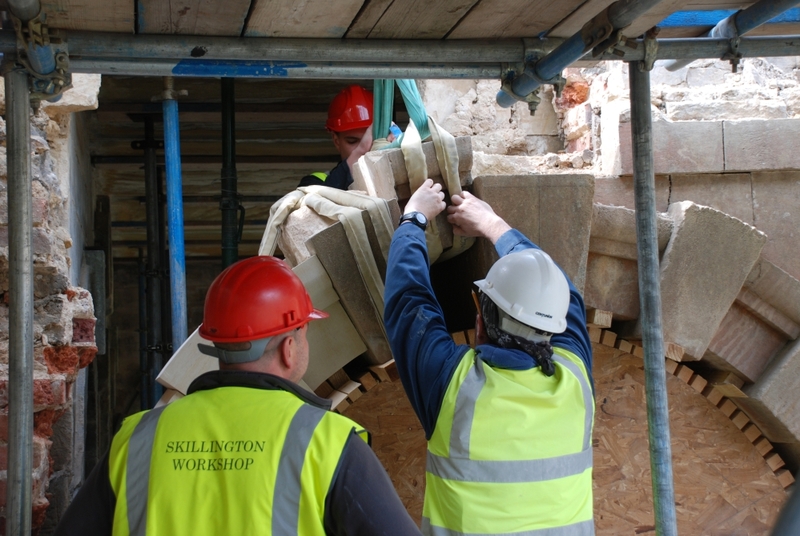 Skillingtons won the tender to complete the works – which commenced with making light of what had already been done. The works were carried out during 2010-11. 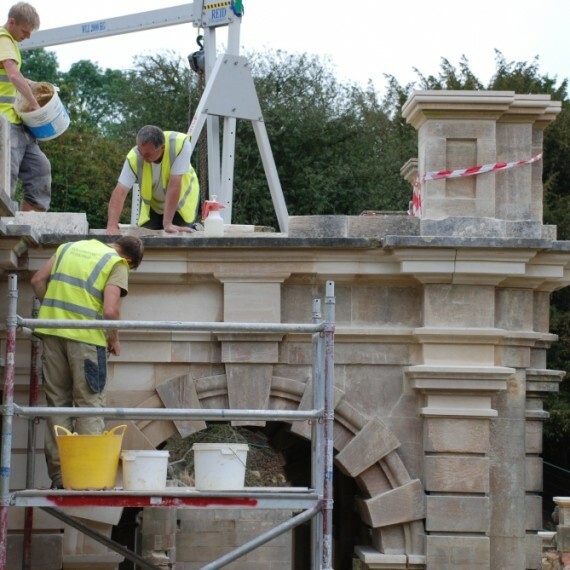 Supply of good Ancaster Hard White presented challenges for this job as we were dependant on what was being quarried at the time, but with patience and care we successfully completed the conservation and restoration works. 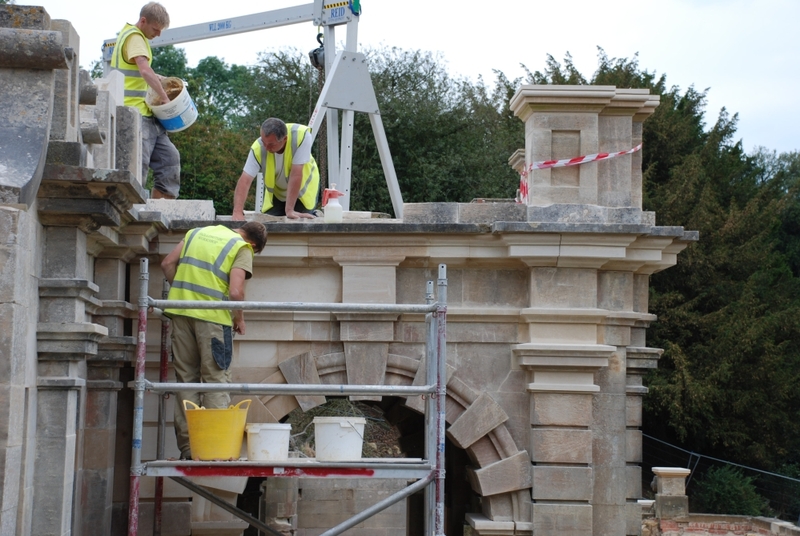 There was some quite complex setting out of new masonry to ramp and twist staircases, as well as challenging structural rebuilding jobs where previous cast cement repairs were replaced to arches which were out of line due to historic movement.